Keep your busy days organized with this gorgeous leather desktop calendar holder! 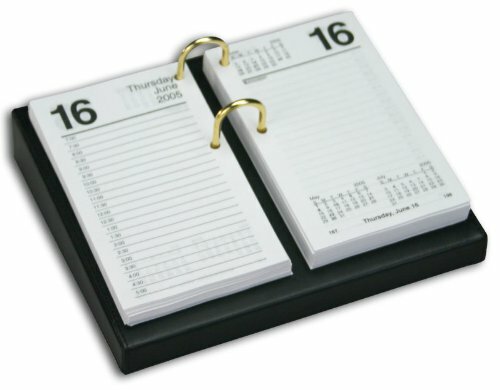 Sized to hold standard 4.5-inch by 8-inch calendar refills, this piece keeps your calendar positioned on your desk in style. Crafted with a top-grain leather, this unit includes silver bolds to secure the calendar refill to the base. If you have any questions about this product by Dacasso, contact us by completing and submitting the form below. If you are looking for a specif part number, please include it with your message.